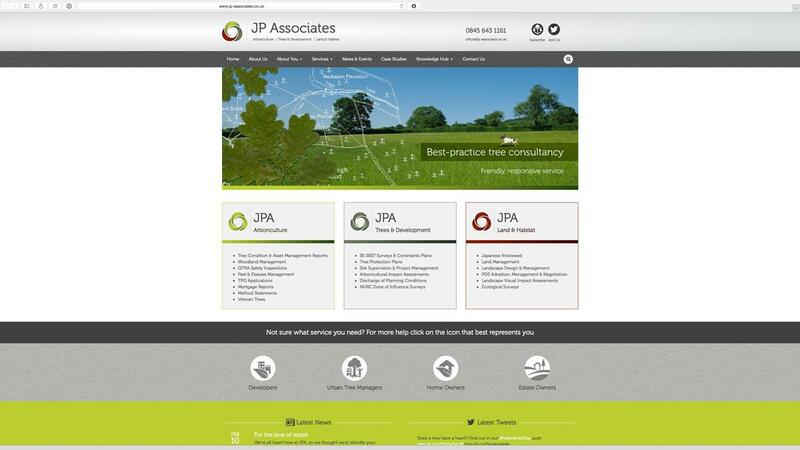 JP Associates provide arboricultural consultancy services to property developers, home owners, estate and urban tree managers and similar customers. 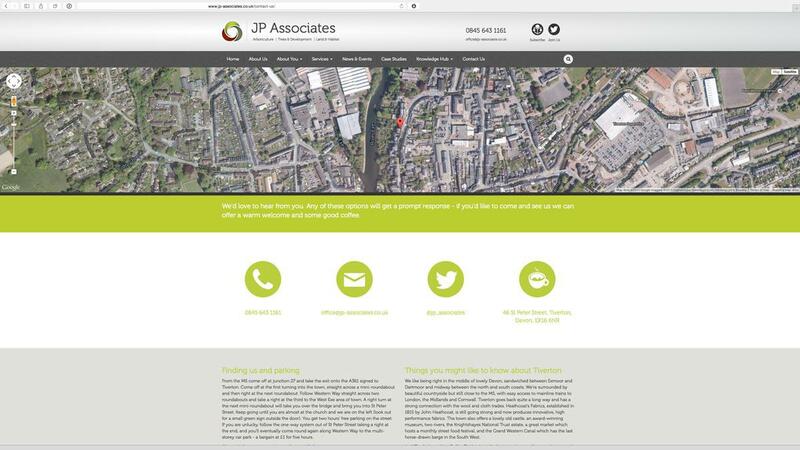 A long established client, this was the second revision of their website which pre-dated the advent of the smartphone and tablet and so was a mostly static affair until now. 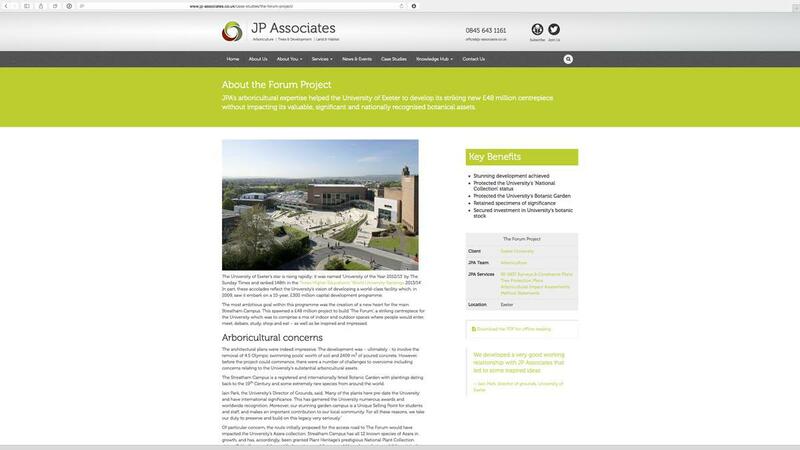 The site was rebuilt using the SilverStripe content management framework which was the perfect solution for the client. SilverStripe allows the end user to manage the web site hierarchy and content but also allows the developer to specify constraints to help keep the site well organised and mostly immune from the kind of layout degredation that often ensues when an end user is left to manage a site in its entirety. Since the original build, we have had little input in the evolving content on the site - the lack of calls asking “How do I do this?” we think is testament to SilverStripe’s ease of use and robustness and our client is very happy with the results! Whilst we’re not huge fans of the proprietory templating language, it was pretty trivial to create a relatively complex site from scratch using the framework and we’ll definitely be recommending SilverStripe again in the future when the boot fits. Original mockup work and overall layout and design was the work of Ikonika. Marketing and content strategy by Lathwell & Associates. 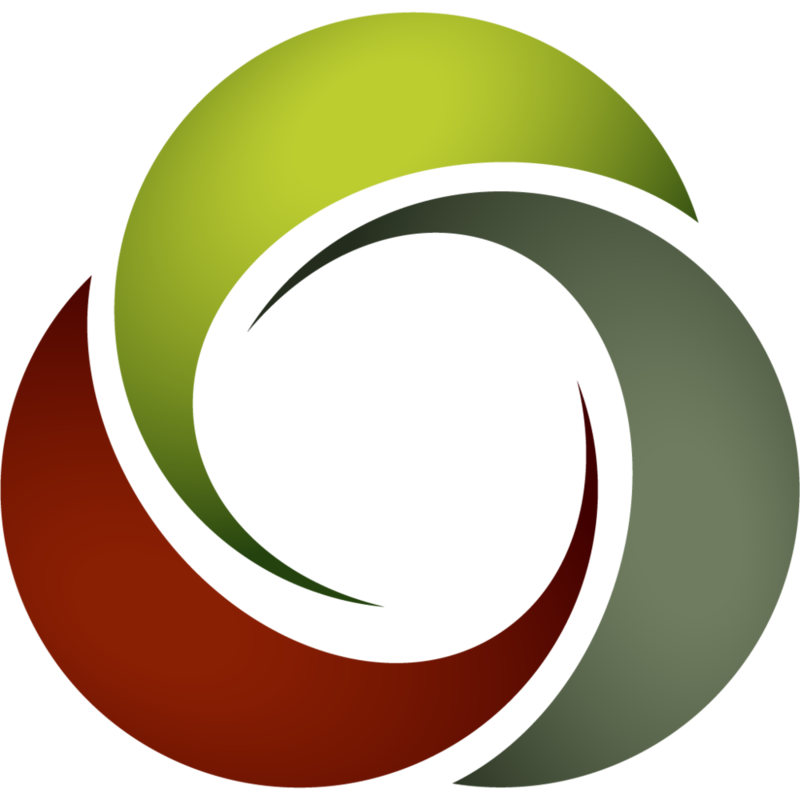 Theme and model development using the SilverStripe content management application. 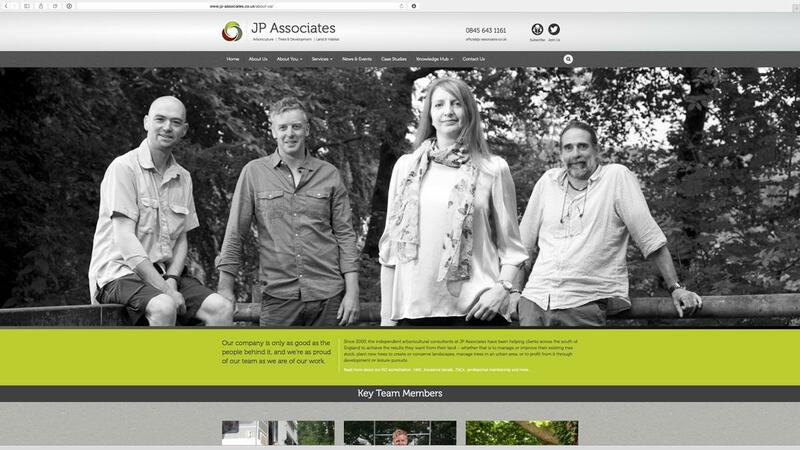 Responsive design, built in blogging and lots of content discovery tools.